October is upon us — and believe it or not, that means wedding season. 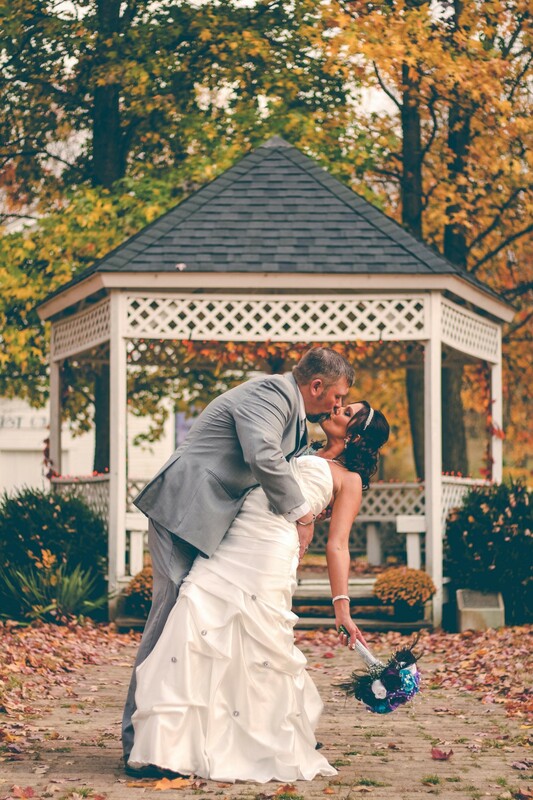 According to TheKnot.com, in 2015, more couples chose to wed in the fall (39%) than in the summer (33%), with October ranking as the most popular month of the year to get married (17%). And, on top of the shift in the season — and therefore, the weather — it turns out that more and more couples are getting married far from home. Nearly half (49%) of couples in 2015 got married 200 miles or more from where they lived at the time they were married. That’s more than than twice the number from the previous year (21%). All this means that friends and family are getting on airplanes much more frequently than they were just a year and a half ago in order to join the festivities — and, they’re dealing with fall weather patterns that may interfere with travel, too. With this in mind, we at Freebird wanted to do something to support brides, grooms, wedding planners and, of course, their guests, to help take the stress out of wedding planning and travel. That’s why we’re offering Freebird coverage for free to anyone flying to a wedding in the US. Don’t worry about flight delays or cancellations on your big day. Your guests can sign up for Freebird coverage, for free, any time until two days before departure by visiting www.getfreebird.com and using your promo code. Let Freebird save the day. In the case of a flight disruption, Freebird gets your wedding guests on the next flight on any airline, for free! The idea is simple — let us do the worrying about air travel “what ifs” for you! As frequent travelers ourselves, the Freebird team knows just how stressful it can be to face a disruption on your way to a once-in-a-lifetime event. (Our very own CTO just experienced a flight cancellation on his way to a wedding last week!) And while all travel is important — there are people to see, goals to accomplish and schedules to keep, no matter the occasion — there’s something inherently special about traveling to a wedding. Getting there matters — and our mission is to make sure you do. So if you or anyone you know is tying the knot this fall, check out www.getfreebird.com/weddings to sign up for our “wedding gift” to you and loved ones. On behalf of everyone at Freebird, I hope you’ll accept our warmest congratulations and best wishes for a wonderful celebration — and beyond.